Orange Coast Winery was founded in April 2011. 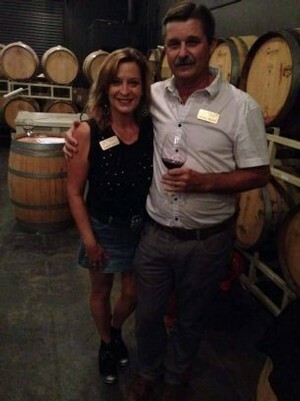 A few months later Doug and Debbie Wiens, who had dreamed of owning their own winery where they could let their personalities shine through, were the proud new owners. Our Award-Winning Winemaker Douglas Wiens believes that, “Superior wine starts with excellent vineyard management.” Doug is also one of the founding partners at Wiens Family Cellars in Temecula, a larger winery owned and operated by members of the Wiens family. Doug spent his youth raising vegetables for his large family, and has a degree in Horticulture, a graduate degree in Food Science, and an MBA. His education proved to be the perfect blend, and has made him the creative genius behind his family's successful winery. Debbie holds her own in the field of education, with a BFA in Theatre Arts, a BA in Education, and an MA in Educational Counseling. 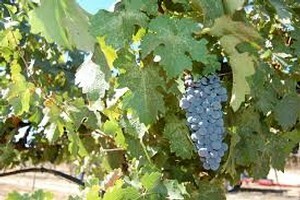 Debbie's friendly, Midwestern upbringing is reflected in the warm decor and personable staff of Orange Coast Winery. Doug, although busy making wine and keeping up with the vineyards, is always eager to chat with guests about the art of all things vino. Together, they bring a unique style of science and humanities to the world of winemaking! We select the finest grapes from our own vineyards located throughout the Temecula Valley and the Lodi area in Northern California, and see our vintages through every step of the wine making process in our own facility. The proof of our passion is in our end product, with wines that rival the best in the world. 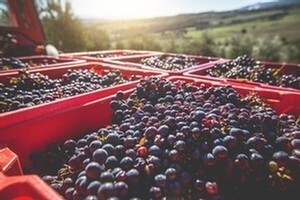 By staying involved and informed with how their vineyards are managed, the best winemakers start shaping their wines as soon as grapes set as tiny berries in spring. Strict canopy control, limited irrigation, and controlled vigor, ensure that all grape clusters get adequate sunlight to develop full rich flavors and deep colors. We dutifully watch our grapes throughout the summer and into the harvest season, testing and inspecting frequently. In the cellar, we carefully track and control fermentation temperatures, flavor/tannin extraction, and sanitation. Every variety is matched with a particular yeast strain to maximize the grape's potential. During aging, particular barrels are chosen for each wine variety based on experience and frequent cellar tastings. Prior to bottling, we do numerous bench-top blend tests to make sure the wine is the best it can be, often re-blending several times to get it just right. Our philosophy is winemaking as both a science and an art. Lab testing? Of course, but tasting is ten times as important!